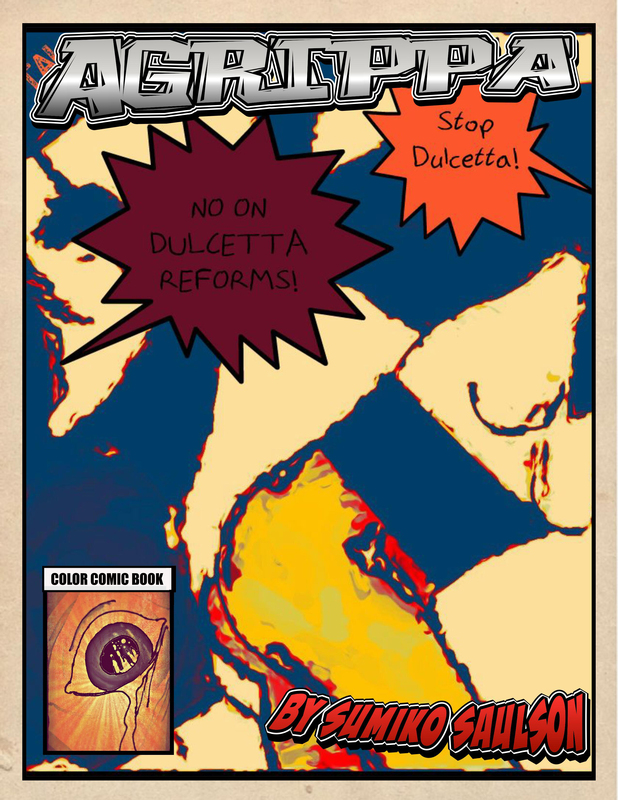 Some of you may have been following my comic book, Agrippa, online. The finished product should be about 30 pages. That’a the cover of it (above). I’ve decided to come out with a full exterior/interior 8 x 10 comic book which will cost about $5.00. Your comic looks really good. Thank you! There really aren’t any guys here – just this one gal, me, but I like to say “we” so it seems like I have a staff of more than one. I am glad you think my reporting on my own online comic, Agrippa, is smart! Smart reporting sounds a lot better than “blatant self-promotion”. Speaking of self-promotion, “Agrippa” is a story from my short story anthology, and for only $10 plus SH you can buy a signed copy of it, for in the future, when I become a famous blogger with millions of spambot fans. All the spambots who do not own a signed copy of “Things That Go Bump in My Head” will be missing out, so buy it, spambot! Buy my book before it is too late. And in the near future, when my comic book “Agrippa” comes out in print, buy that too. Thank you spambot – have a nice day. I think this internet site has got some real superb info for everyone. “The human spirit needs to accomplish, to achieve, to triumph to be happy.” by Ben Stein.